The microbial fermentation is the most applied method in biotechnology, and nowadays it is distinguished by innumerable applications. An example of this is the industrial scale production of erythromycin, antibiotic obtained from Saccharopolyspora erythraea under aerobic conditions. Vitamins like riboflavin, beta carotene and vitamin B12 is also produced industrially by microbial fermentation. 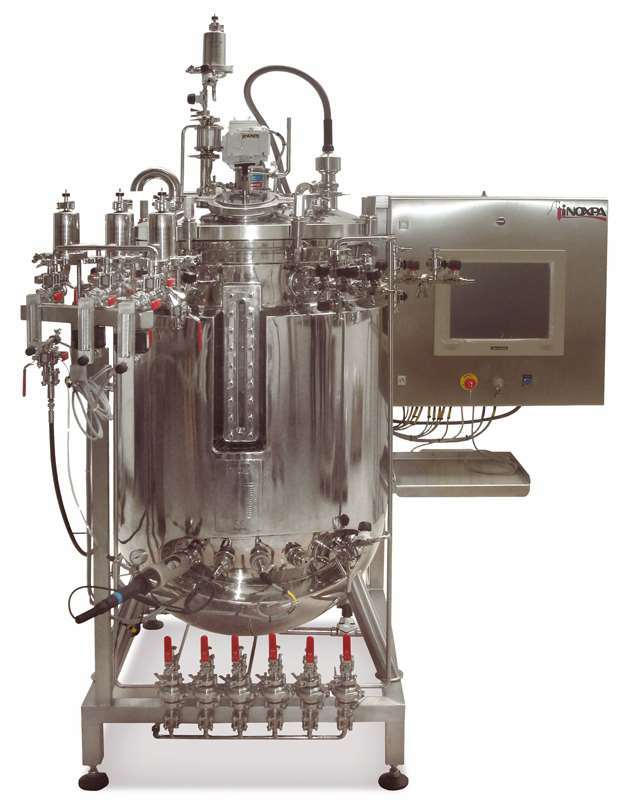 The typical batch mode fermentation is presented by the following stages: addition of a solution rich in nutrients, inoculation of microorganisms, injection of foam inhibitor and oxygen ( many microorganisms used in bioprocessing are aerobic). In his type of fermentation systems, the accumulation of waste products and multiplication of the microorganisms provokes the variation of conditions during the fermentation process. Vitamins, minerals, fatty amino acids and, depending on the bacteria type, growth factors can be added throughout the fermentation cycle. 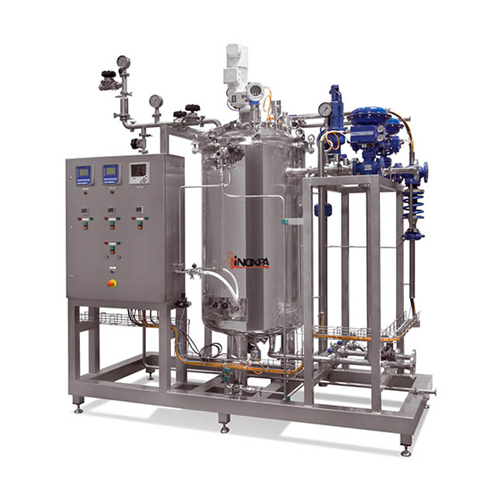 The foam inhibitor is added to control the excess of bubbles, the agitation system facilitates the dissolution of oxygen and release of carbon dioxide and provides a total mixing of nutrients. The process is efficient if the fermentation cycle is carried out at a constant temperature. The chemical reactions and the mechanical processes, occurring inside the fermentation vessel, heat the system and if the heat is not balanced, the cells may die or stop reproducing. 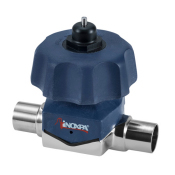 Therefore, the cooling process requires an appropriate control system. The pH and oxygen levels, temperature, agitation, etc. of a fermentation process are automatically controlled by a PLC. The most frequent problems occurred during the fermentation process is contamination due to an inadequate sterilization or loss of sterility during the process. The use of reliable and high-performance systems provide safety conditions for high quality production. 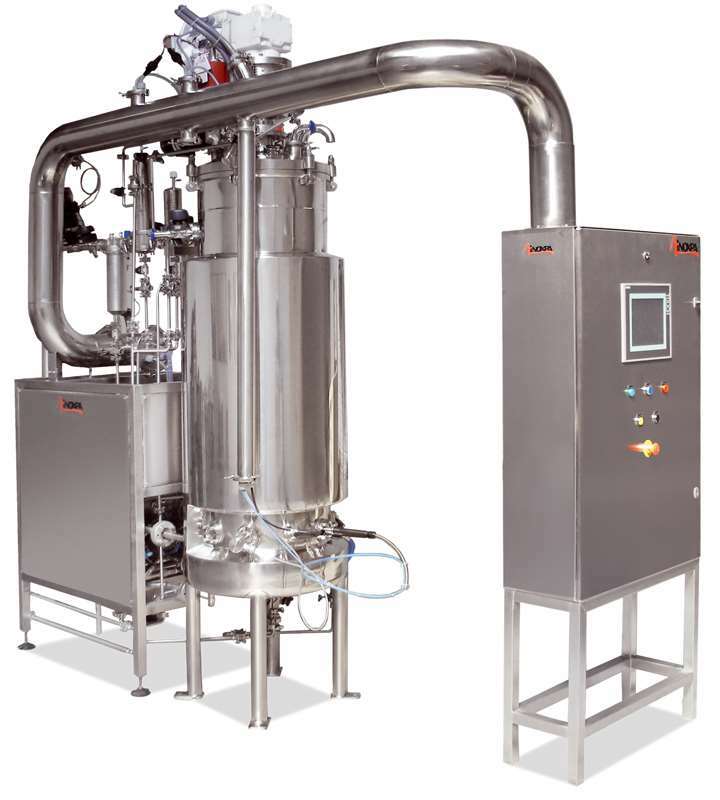 INOXPA offers various types of fermenters for a wide range of applications. - Vertical agitator with mechanical seal and motor gear drive. Parts in contact with the media: St.St.S 316L. Internal surface: Ra < 0,4. Single mechanical seal (dry running). We offer qualification of all fermenters with the corresponding IQ/OQ documentation.